The contribution of culture to organizational performance is substantial and quantifiable. In The Culture Cycle, renowned thought leader James Heskett demonstrates how an effective culture can account for 20-30% of the differential in performance compared with "culturally unremarkable" competitors. Explains how culture evolves, can be shaped and sustained, and serve as the organization's "internal brand." Shows how culture can promote innovation and survival in tough times. Guides leaders in linking culture to strategy and managing forces that challenge it. Shows how to credibly quantify culture's impact on performance, productivity, and profits. Clarifies culture's unique role in mission-driven organizations. 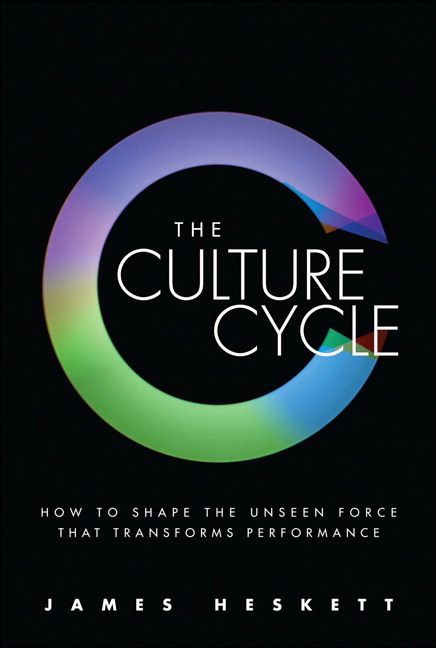 A follow-up to the classic Corporate Culture and Performance (authored by Heskett and John Kotter), this is the next indispensable book on organizational culture. The next indispensable book on organizational culture: shaping it, sustaining it, and quantifying its business value. Introduces a comprehensive conceptual framework for managing corporate culture. Demonstrates how culture can account for 20-30% of organizational performance differentials. Based on extensive cases and decades of field work on the linkages between culture, productivity, and profits. By Harvard's James Heskett, world-renowned thought leader on organizational culture. James Heskett is Baker Foundation Professor, Emeritus at Harvard University’s Business School. A leader in advancing management practice, he remains active at Harvard Business School; serves as a board member at Limited Brands; and consults with companies worldwide. Heskett has won the Council of Logistics Management’s John Drury Sheahan Award; Sales and Marketing Executives International’s Marketing Educator of the Year Award; and the American Marketing Association’s Career Contributions to the Service Discipline Award. He is author and coauthor of several books, including Corporate Culture and Performance (with John P. Kotter); The Value Profit Chain (with W. Earl Sasser, Jr. and Leonard A Schlesinger); and The Ownership Quotient (with Sasser and Joe Wheeler).